Next Stop: La La Land! 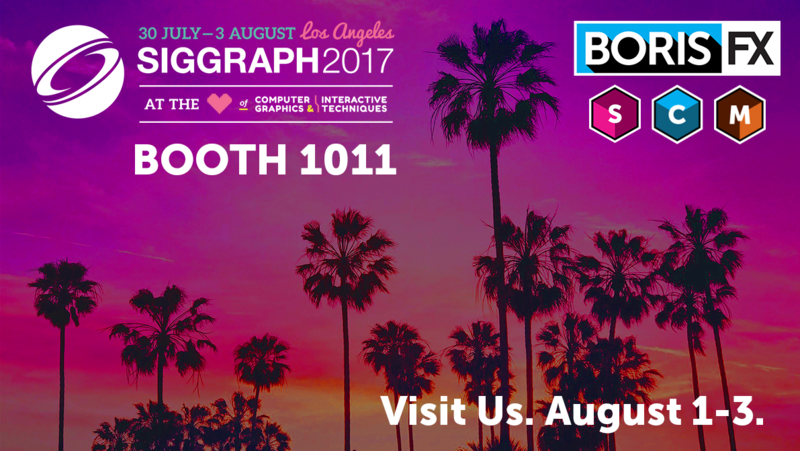 Swing by the Boris FX booth (#1011) at SIGGRAPH to see the newest & upcoming versions of Mocha VR, Continuum, and Sapphire. We’re excited to be showing an upcoming release of the now award-winning Mocha VR, 360/VR post & VFX plug-in tool, which includes a new stereoscopic 360 workflow. Plus, you’ll get a sneak peek at Continuum 11 featuring a new 360/VR Unit and Primatte chroma-keying tech and Sapphire 11 featuring Mocha integration. Our product specialists will be on hand to demonstrate how artists and editors like you can use Boris FX tools for all your high-end visual effects, graphics, and finishing needs.